On our Belize What to Bring list we instruct our guests to bring a sizable sum with them on our all-inclusive trips to our private island ($1100 for a single, $1500 for a couple). Many ask why should we bring money when the trips are all-inclusive? 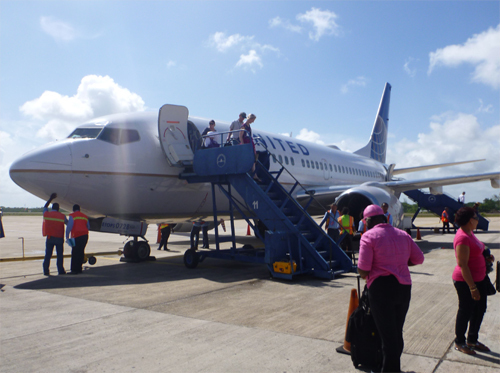 We cover everything except alcoholic beverages, Belize exit tax, scuba diving, tips, and taxis to and from the airport, which can add up to several hundred dollars. Also, if the guest or the guest’s luggage were delayed, an already difficult situation would be greatly compounded by counting on credit cards or locating a working ATM machine in Belize City. It can cost up to $780 to catch up with the trip by chartering your own boat out to our island. Every year I carry 1000s of dollars myself to Belize. I have a very thin money belt that I made out of silk to wear under my clothing on the way to and from Belize. In my wallet I carry about $200 so I never have to get into the hidden funds while traveling to and from the country. I do this in the event that I get complacent and put my wallet down and it is snatched or just lost. Once I arrive in Belize I keep my money somewhere in my luggage. We don’t use locks on the island, and all visitors to the caye are met and escorted. I simply don’t leave my money sitting out in case there was a stray visitor to our island that no one intercepted. We trust our guests and our staff, we have no problems using this system.